Guatemala, 22 February 2017: From the viewpoint of promoting investment and commerce between the United States and Guatemala, the rulings of the Constitutional Court (CC) to suspend operations of hydroelectric plants and extractive industries are worrisome. This measure contravenes Convention 169 of the International Labour Organization, which states that the absence of community consultations is not a reason to cease operations. This violates the property rights of foreign investors in the country and discourages future investments. It is important to stop the cancellation or suspension of licenses to operate mines and hydroelectric plants, as this will undermine the objectives of the Alliance for Prosperity for the Northern Triangle with the United States, which seeks to decrease the elevated costs of electric energy, increase low levels of investment, and generate employment, among other benefits. “With a strict interpretation of Convention 169 of the ILO and a movement directed at frustrating development, a drastic decrease in foreign investment in Guatemala can be foreseen. As a direct result of the CC’s rulings, more than 445,000 jobs and more than $780 million in annual tax revenues are at risk,” added Carrasco. Besides the inevitable damages to the local economy, the guarantees undertaken for investments as part of DR-CAFTA would be violated, which include the obligation to protect foreign investment from expropriation without compensation. The investments at risk are about $4 billion in the electric, agricultural, and mining sectors. AmCham has existed for 50 years and celebrated promoting and fortifying commerce and investment between the United States and Guatemala, as well as providing support for its more than 500 partner companies. It will continue to work to generate investment and employment, the fundamental pillars of the economic development of the country. 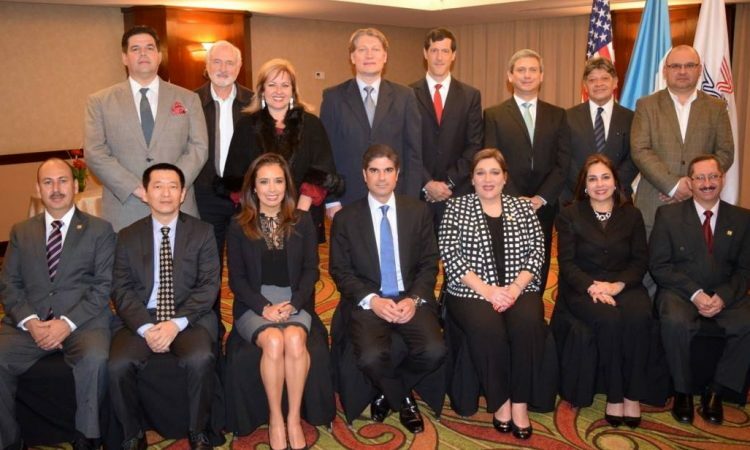 *The American Chamber of Commerce in Guatemala. Translated by Steve Hecht. The original Spanish from the chamber is available here (PDF).